We have been strictly linked with the agricultural world (also having our own citrus plantations), deep knowledge of our territory and of the sites of the production of the citrus fruit. Due to that, along the years we have built up a relationship of trust and mutual respect with our fruit suppliers and together with them we monitor the growth conditions of the citrus fruit and fruit ripeness , even when they are on the trees in the plantation areas. We pay attention to the quality of products from the very beginning following step by step the productive chain. 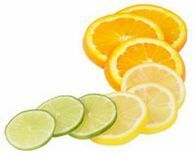 The extraction of the essential citrus oils is a process which has to be conducted with commitment and constant attention and care, for only when the fruit is properly processed the highest quality essential citrus oil is/can be obtained. The experience gained over the years allows us at present to be knowledgeable and highly efficient in the area. Our processing plant is situated in Melito di Porto Salvo (30 Km far from Reggio Calabria) right in the heart of the best and biggest growing area of bergamot. Bergamot is also called “green gold”, a citrus fruit that just grows here, thanks to the unique microclimate found in the region. The factory is disposed on the surface of about 5000 m², 2000 of which are covered. Inside, there are modern pieces of equipment that tend to have a total productive capacity to transform about 3 tons of fruits per hour. The company is in possess of an own steam distillery to produce distillates, especially distillate of bergamot "Peratoner".